In relationship, it’s always the woman, who’s in control. 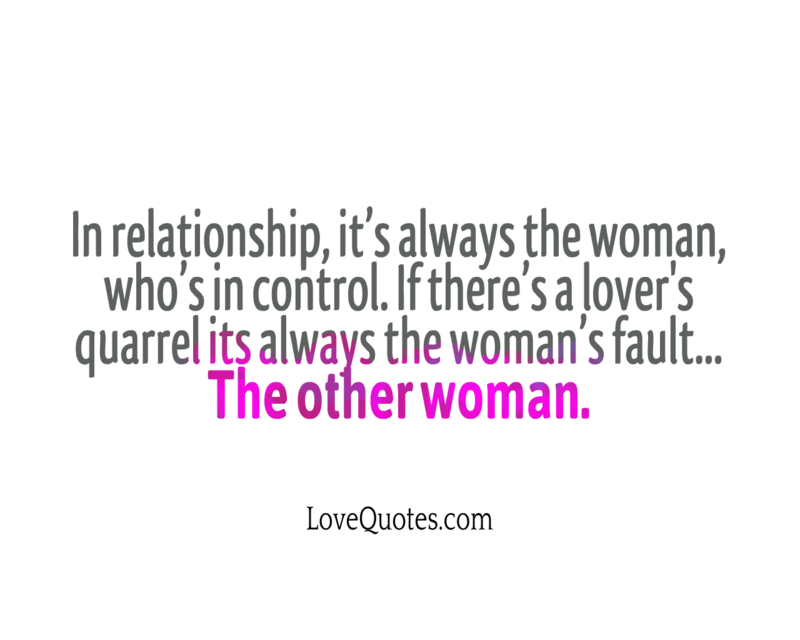 If there’s a lover's quarrel its always the woman’s fault... The other woman.